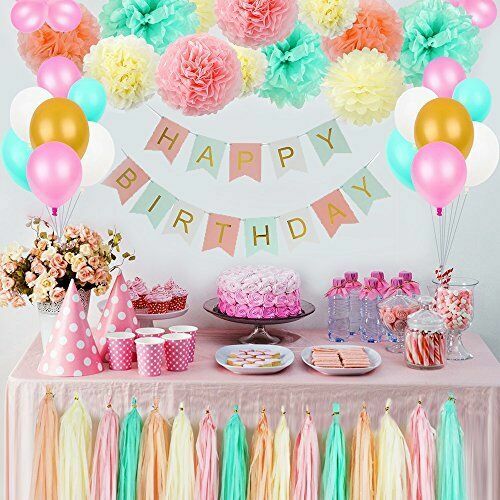 "It also contained 9.8 feet paper garland with 32 pcs garland paper dot (pink. Hang on tables, walls. Lightweight, easy to hang them on the wall, above the table, in the hallway, on the tree, etc. Tissue paper flowers )."